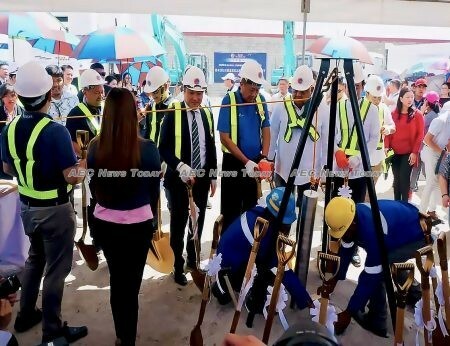 The ceremony follows on the heals of the DOTr and a Filipino-Japanese consortium comprising Shimizu Corporation, Fujita Corporation, Takenaka Civil Engineering Company Ltd, and EEI Corporation signing a contract for construction of the first three stations the week prior. The Metro Manila Subway (MMS), or the the Metro Manila Subway Line 9 to give it its formal title, is one of big ticket projects under President Rodrigo Duterte’s PHP8.9 trillion (about US$172.5 billion) “Build, Build, Build” infrastructure push, a corp plank of his 2016 election campaign. Set to span 36 kilometres (22.35 miles), the intercity railway will comprising 15 stations when complete, stretching from Quirino Highway in Quezon City, to the Ninoy Aquino International Airport (NAIA) Terminal 3 in Pasay City, and FTI in Taguig. 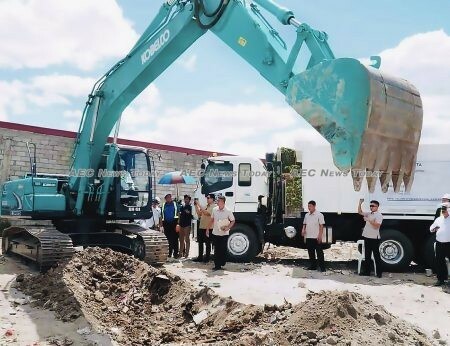 The first phase of the PHP357-billion ($6.9 billion) project will see the construction of the Mindanao Avenue-Quirino Highway, Tandang Sora, and North Avenue stations, tunnelling, the construction of a depot at Valenzuela, and construction of buildings and facilities for the Philippine Railway Institute (PRI). Designed to run at 80 kilometers (49.7 miles) per hour, the project is aimed at easing traffic congestion in the capital. A recent study by JICA found that traffic congestion in Manila in 2017 cost PHP3.5 billion ($31.4 million) per day, with this figure expected to balloon out to PHP5.4 billion ($48.5 million) by 2035. Mr Tugade said the first three subway stations are expected to be finished by 2022, with all 15 fully operational by 2025. Last March the Philippine and Japanese governments inked a PHP51.37 billion ($995.8 million) loan agreement for the first tranche of the MMS project. Of the total cost 73 per cent, or $5.2 billion will be funded by JICA through an Official Development Assistance (ODA) loan dispersed in multiple tranches. The remaining $1.9 billion will be financed by the Philippines government. The grant is the largest committed by JICA to a single country to date. Once complete the MMS is expected to serve up to 370,000 passengers per day, while having a design capacity to accommodate up to 1.5 million passengers daily in its first year of full operation. Transportation undersecretary for railways, Timothy John Batan said the remaining five construction packages will be released for bidding by the end of the year. Mr Batan said the DOTr will initially purchase 19 train sets consisting of eight cars per set, each with a capacity of 2,000 passengers. He said that the number of cars in each set could be increased to 10, as the stations are designed to accommodate that size train. The subway will link other major rail lines such as the Light Rail Transit Line 1 and Metro Rail Transit Lines 3 and 7 via a common station along Epifanio de los Santos Avenue, commonly referred as EDSA, to boost interconnectivity.